Join the discussion on our forums! Come discuss Eureka over in our dedicated Eureka discussion topic. Summon a copy of_a_random minion from your hand. Genius is 1% inspiration, and 99% drawing your Deathwing. Way worse than ancestral's call, costs 3 more mana. Hard to pull off otk with only 4 mana left even with malygose. It SUMMONS a COPY. Summoning minions does not affect overload. That's better than my idea. becouse we not have The Coin every turn. WTF man? Its a shaman card. From the art and text I thought this was a mage card but then realized after like 5 minutes that it's a shaman card. 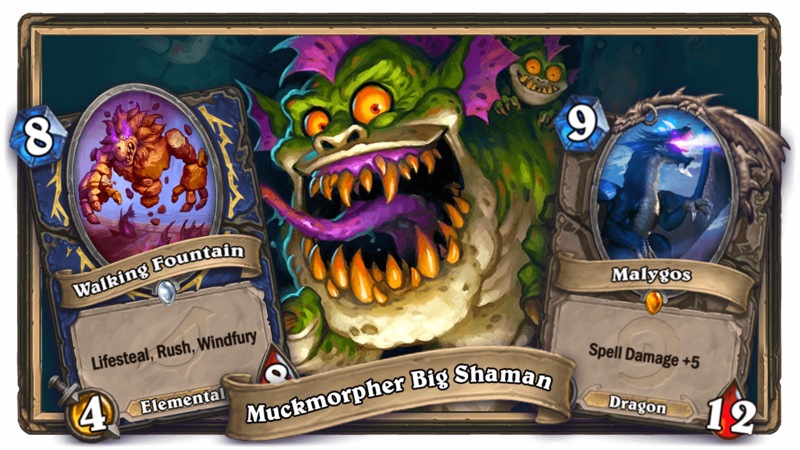 Does anyone else think it's a little unfitting for a shaman card? Why ? 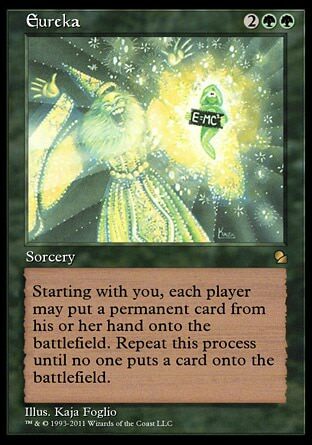 It's like a better, but more expensive Ancestor's call, why should it be a Mage card in particular ? Because the effect is random and right now there is no good 10 mana minions so at best you can get a 3 mana discount from Malygos/Ysera. For a combo that requires 2 cards and the effect is still random is just not good enough. 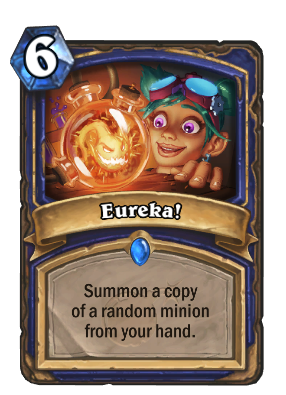 It says random, but with careful planning this could have some serious value for Shaman. I love it. Cool. Can be used with Electra Stormsurge to obtain double value from minions in your hand without paying their mana cost or overload cost. The first thing that comes in my mind is obviously Malygos, but getting double Al'Akir the Windlord, double The Lich King or even double Earth Elemental sounds pretty good to me. why are so many people voting bad? it might not be the best but could build an archetype with decent winrate, how is that not atleast good? The point is that this had already been brought up in the original post, the comment is redundant as Beatsz already wrote that holding onto Electra could potentially ruin your combo. Isnt this card but for 4 mana in wild?